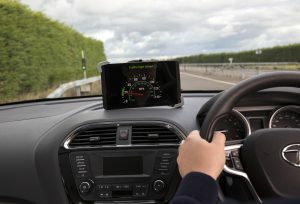 The UK’s first collaborative trials of connected and autonomous vehicle technology were successfully completed on Friday, as UK Autodrive partners Jaguar Land Rover, Ford and Tata Motors European Technical Centre (TMETC) jointly demonstrated a number of future vehicle technologies at HORIBA MIRA’s Proving Ground in Nuneaton. 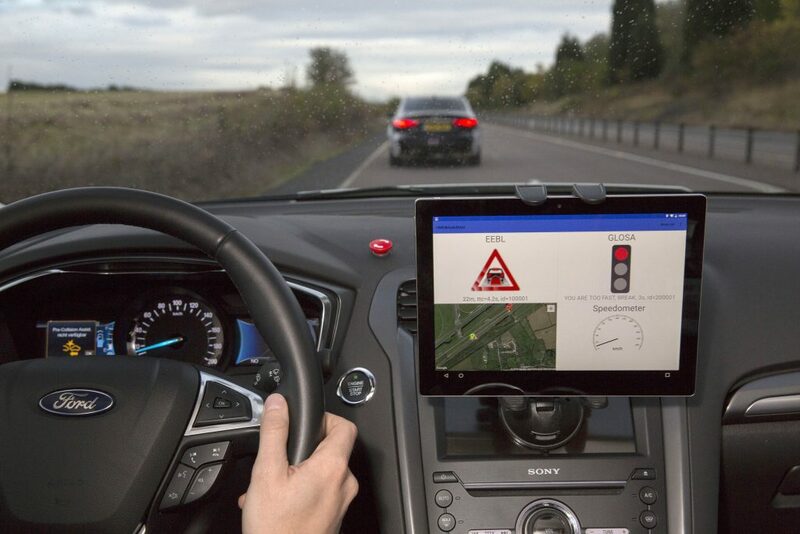 Friday’s demonstration came at the end of a fortnight trials, in which the three vehicle manufacturers were able to successfully demonstrate the programme’s first two connected car features. A Ford test driver receives a brake light warning triggered by the Jaguar ahead of him. Jaguar Land Rover’s vehicle completes an automated overtake during Friday’s demonstration. The driver of the TMETC vehicle receives a speed advisory to help reach a green light.